Ok, so let’s talk about organizing Lego Instruction Manuals. 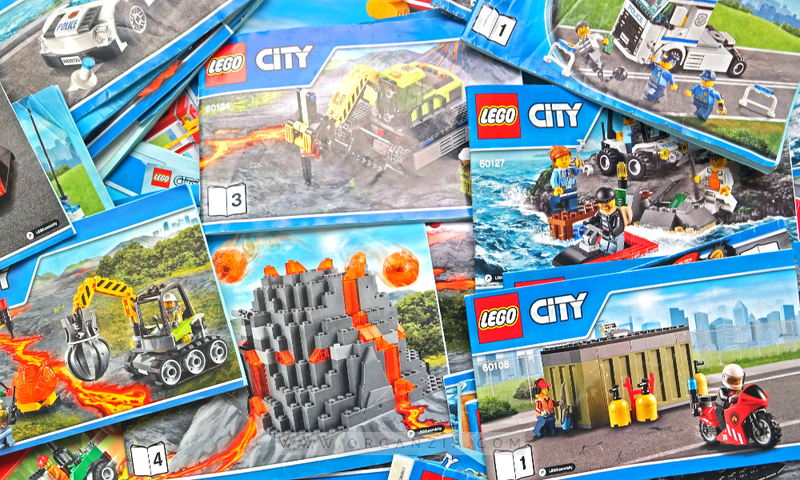 If you have a Lego-loving kid living under your roof, you know that along with all the Lego’s, you also get the instruction manuals. They just magically seem to multiply (more Lego = even more Lego manuals) and tends to end up just EVERYWHERE. Does this sound familiar? In our home, the manuals are almost as appreciated as the Lego itself! They’re read, studied, brought everywhere, and in the end often forgotten somewhere or torn apart. Quite often baby brother is the guilty one because the Lego manuals are so much fun to slide on and walk all over when they’re all over your big brother’s bedroom floor! 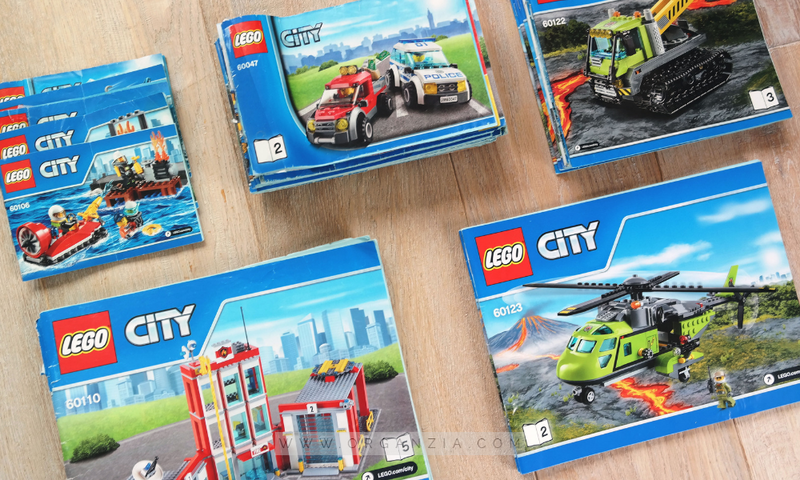 So, of course, I’ve been wanting to get the Lego instruction manuals organized for the longest time now because honestly, they’re just driving me CRAZY. Fortunately, Pinterest came to my rescue one evening. 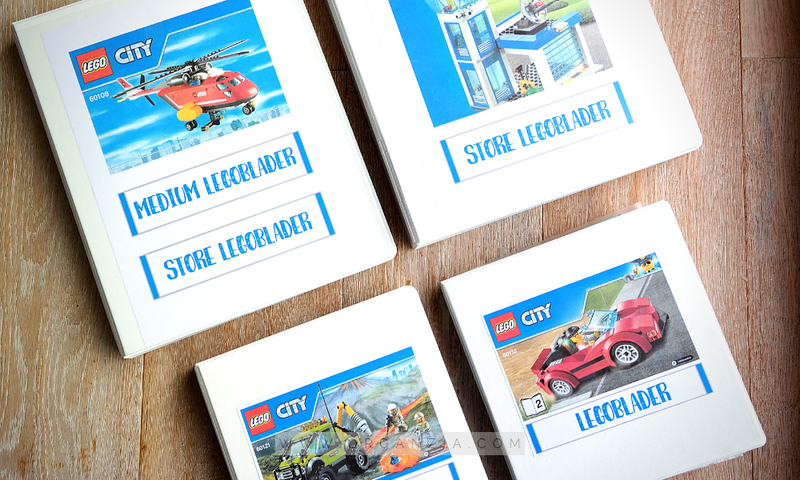 I saw this tutorial on how to organize the Lego instruction manuals in plastic binders. The idea is just so simple, that it’s just genius! I was like, why didn’t I think about that ?! 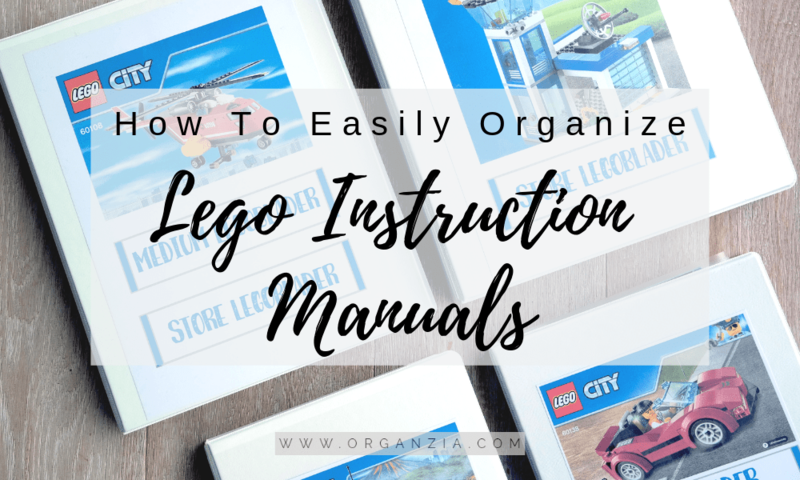 So if you’re like me, and just really need to find a way to organize the lego manuals, this is how you can do it! If any of the instruction manuals are torn, fix and tape them. If you want you can sort them by color/theme ( I just had to). Put the manuals in the appropriate ring binder. I really wanted to make front covers for the binders so that my son could easily see what was inside them. I did this easily just by scanning some of the Lego manuals, edited the size, and added the text I wanted, and printed them out in the sizes needed. You could do this in any photo editor. You can use Photoshop, or if you prefer an online photo editor like PicMonkey or Canva. Put the front covers that you made in the front of the ring binders, and you’re DONE! And now the Lego instruction manuals that were taking over the house, are finally under control! And mom gets to keep her sanity, yay! For even more Lego organizing, you need to check out my previous post for a super simple tutorial on how to make a DIY Lego table! My son and all his friends who visit, they just love this Lego Table! This table gives you lots of storage space underneath and the kids don’t have to build their Lego masterpieces on the floor, they can now build them on the Lego table! 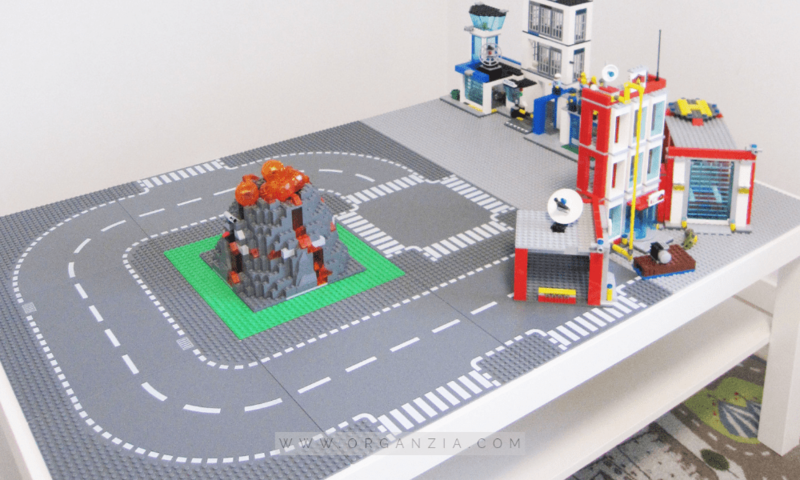 If you have children who would just love to have a Lego Inspired Bedroom, also have a look at how I decorated my sons Scandinavian styled Lego Bedroom for some tips and ideas!